Bagru is known for natural dyes and hand block printing. Bagru is the place of Raiger and Chhipa community. Chhipa community people who are involved in this printing tradition since 100 years ago and also Raiger community people are involved in processing and manufacturing of leather and their products (like boots, mochdi, Rajasthani jhutee and other leather goods). The Raiger community export raw leather (semi processed) to big leather companies and also sell in local market (Hatwara,Jaipur). Bagru is also known for natural dyeing, indigo dyeing and wooden hand block printing over textile articles. In addition to above, Bagru is also internationally acknowledged for the traditional Pickles (Aachar) manufactured by Jhalani family (Jhalani Food Products Pvt. Ltd.) since five generations. This is the place of Jugal Darbar temple where annual festival organizing by Bagda community and all surrounding villagers and peoples come to see the Mela. This is place of peace and unites all communities. Bagru is a small village, located at a distance of 32 km from Jaipur, on Jaipur-Ajmer Road. The village town of Bagru has a popular fort (private property) in heart of town which is normally open for public on Gangaur Festival. Bagru is most famous for its typical wooden prints. 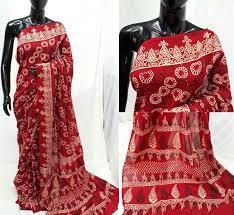 These prints of Bagru are acclaimed all over India and are particularly known as Bagru prints. 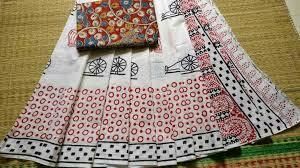 The Prints of Bagru, unlike other prints, involve a different kind of printing. The unique method for printing employs wooden block in it. In the process, the desired design is engraved on the wooden block first and then the carved block is used for replicating the design in the preferred color on the fabric. Chippa Mohalla (printer's quarter) is the area for those, who are interested in textile printing. One can walk into the quarter, where people are always engrossed with dyes and blocks. The three-centuries-old tradition of block printing is kept alive with the efforts of Bagru artisans. Keeping the convention, these artisans smear the cloth with Fuller's earth got from the riverside and then dip it in turmeric water to get the habitual cream color background. After that, they stamp the cloth with beautiful designs using natural dyes of earthly shades. Even today, artisans use traditional vegetable dyes for printing the cloth. Like, the color blue is made from indigo, greens out of indigo mixed with pomegranate, red from madder root and yellow from turmeric. Usually Bagru prints have ethnic floral patterns in natural colors. Bagru prints form the essential part of the block printing industry of Rajasthan. The village fabricates some of the bed covers and other materials. Now days this printing business is under crisis due to water crises and improper care by State Government where incentives based schemes are not available. It required a channel market to spread the popularity of handmade bedsheets under cluster program. There is no specific industrial zone to process the printing and export. All is depending on Sanganer based big traders and speculators. Even in entire town there is not a water treatment plant and chemical water is releasing through municipal councils (Nagar Palika) drainage lines towards the end of town. YSR: My name is Yogendra Singh Ranawat. YSR: My batch mates were Mayank Ozha,Marudhar Pal, Anurag Puri, Captain Singh, Arjun Suthar, Chirag Vaishnav, Ashish Sharawat, Sonika Soni, Divya Sagar, Payal,Shefali,Shaily,Anjali and many more. YSR: My passing year was 2013. YSR: My present qualifications are M.com final year (running). YSR: My favourite teacher of my time was Krishna Gopal sir. YSR: Yes, I had participated in Football Tournament at state level, State level Athletic Meet, West Zone Handball Tournament Gwalior. ED: How was your experience at the FabIndia school? YSR: Yes, Parineeta Ranpal Ma'am taught me many things .During my time I was the Head Boy of the school, I sorted out each and every matter of my school mates. I also got Student of the Year award. YSR: My message to Fabindians is that study a lot as it is important but be forward in sports because in sports our body and mind remains fit and fine. Tuesday, 18th July: Staff had their PDP Session. They sat in their respective groups where they discussed their story which is allotted to them .They will now work on it and make a new story, PPT, skit etc. relating that quality to real life situations. Thursday, 20th July: Staff had their one hour staff meeting and HOD session in which they discussed what they have to imply to improve the quality in their respective subject teaching. Mr. Gajendra Mewara/ Educator was selected as the Teacher this Week for his sincerity towards work and to be the first to submit his PDP Assignment. He addressed the Assembly. 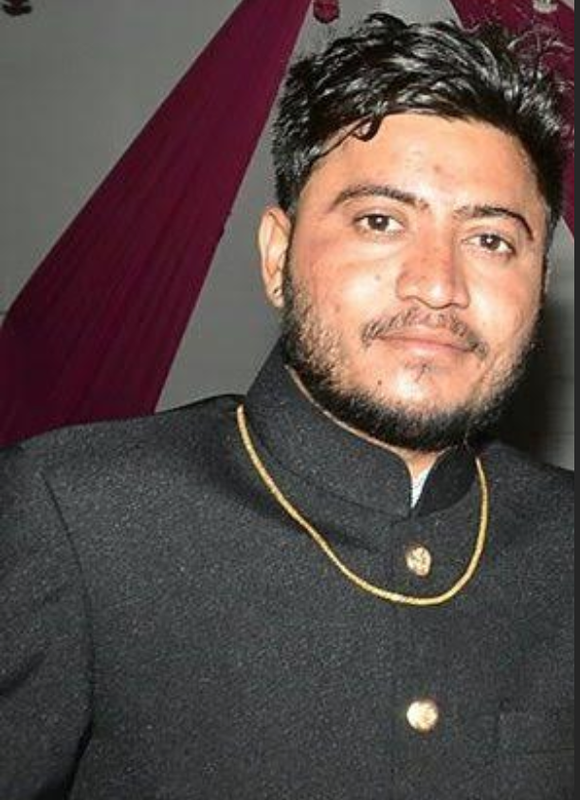 He said, “First, I would like to thank Principal Ma’am for giving me the honour and I would like to thank the entire Fabindia School for making my day very beautiful. I would like to dedicate this honour to the staff members, who are staying with me and who are working with me. Each and every teacher is unique and special. Each and every staff member has different qualities in herself/ himself. The achievement which I have got it was just my work. I feel like a new railway platform is constructed and I was the first passenger to arrive. And the platform is the learning forward online platform. The Fabindia School is the best school. 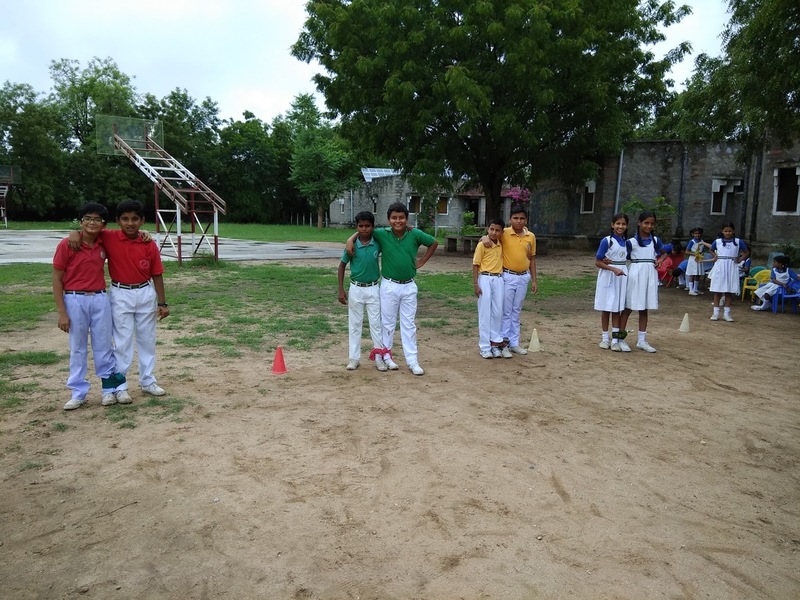 The importance of the school was that at a rural area the school is maintaining the activities like urban areas. For students I have a question. Which is your one motivating best friend? I got the answer that is book. Yes, books are your best friend. Try and make a relationship with your books. Those who have not make relationship with books make the relationship as fast as you can. GMA: Mrs Parineeta Pampal was the Principal at that time. GMA: The environment was most friendly with happiness. GMA: At first I started teaching both junior section and middle section. ED: What do you expect from the children? GMA: The Fabindia student is talented and has a good behavior. My expectations from students are that I would like to see IAS, RAS and Politicians coming from The Fabindia School. GMA: I have not explored myself in the other schools. I would like to explore my professional development in other school. GMA: My message for student would have to face challenges in life and enjoy yourself with positive nature. Mrs. Anju Mandlesha m/o Lenin Mandlesha/ I was selected as the Parent this week. She is a housewife. 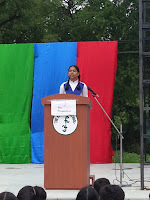 She addressed the students and gave them the message to work hard, focus on their studies and concentrate on their goal. AM: I am a housewife. AM: My one ward is studying here. AM: No, I have not achieved my goal because of some circumstances I had not done anything. ED: What do you expect your child to do? AM: I want my child to get success in life and it also depends on my child what he wants to become and he should set a example for the students and whenever he goes outside everyone should be proud of him. AM: I expect the students to learn etiquettes, manners from school and these manners will be helpful for the new generation. AM: Students should work hard, focus in their studies and concentrate on their goal. AM: I loved visiting the school. Koshik Soni/ XII/ RH was selected as the Student this Week for his talent in playing musical instruments. During the return journey, after having attended my daughter's Graduation Ceremony, I pondered over her decision to join a corporate legal firm for the next two years before pursuing her L.L.M in International Business. A question constantly troubled me - Will my daughter be able to face the world? Luckily, I caught hold of a book by Dr. Anupam Sibal - "Is Your Child Ready to face the World?" in the school library. I think every parent and educator must read this book. It is a great aid for us educators in understanding and helping our students, and inculcating various qualities and soft skills in them, so that they can face the world with courage and confidence. Having been the class teacher of Class X and handling the pressure of the students' first ever public examination (i.e. Class X Board Examination), I recall the story of two of my students. One is that of Muskan, a very confident and promising student from the very beginning, and the other is that of Chandresh, a shy, simple, village student, who wanted to prove himself by performing well and securing his future studies. The challenge was to help students score high grades while simultaneously equipping them to deal with the pressure of the Board examination effectively. Muskan, on the one hand, was very confident and was able to overcome all her difficulties by actively seeking the support of her family and staff. On the other hand, Chandresh was a very shy and quiet student, who hesitated in getting his doubts cleared and seeking the help of the teachers in overcoming the pressure. One Saturday, in the Life Skills lesson, I decided to assign to my students various roles to play, so as to increase their determination and will power and use this activity to discuss ways in which great personalities like Napoleon used determination to achieve success. 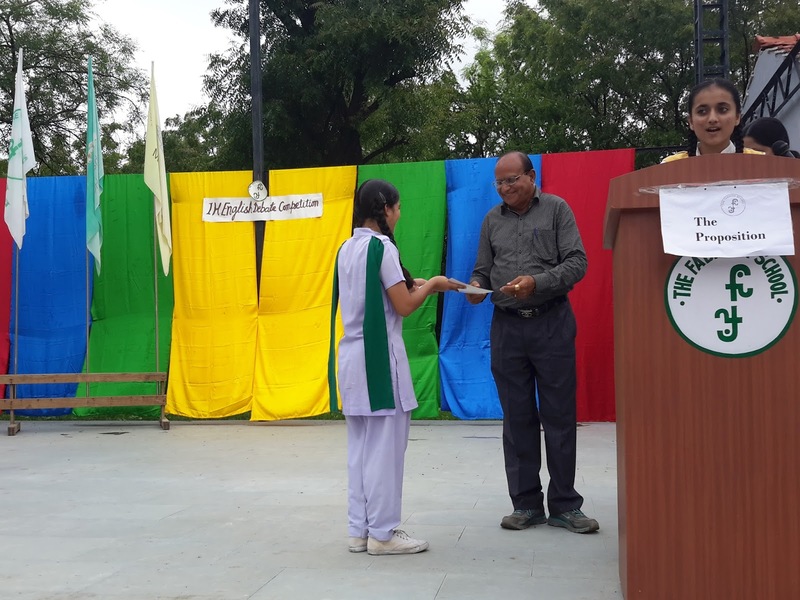 As expected, Muskan gained the determination to set a record by achieving 10 C.G.P.A. Chandresh, on the other hand, slowly opened up to me and began discussing his personal and academic problems in various subjects. Other teachers also helped him in overcoming his difficulties and solving his personal problems. 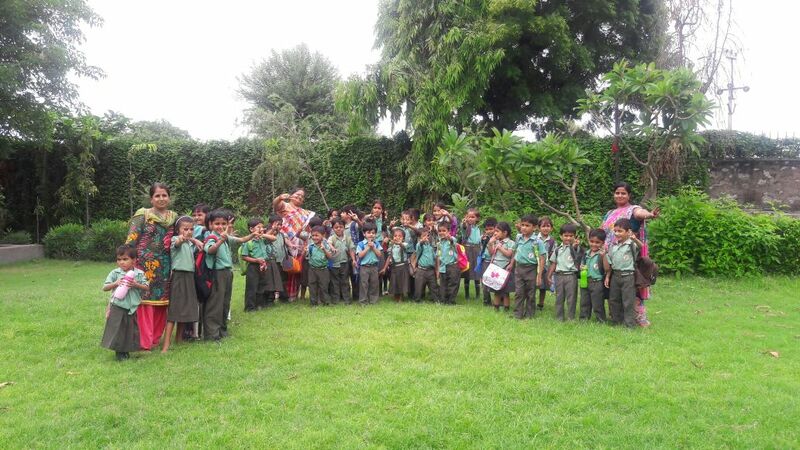 Friday, 21st July: A picnic was organized for the students of Class Nursery to I. 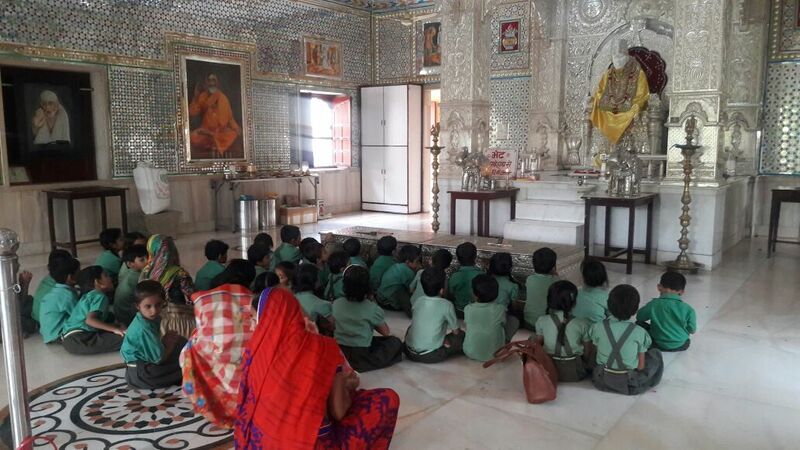 Four teachers escorted the students to Shahidham, Rani .Students visited the temple. Then they sat in the garden and played games. At 11.00 they had refreshments provided. 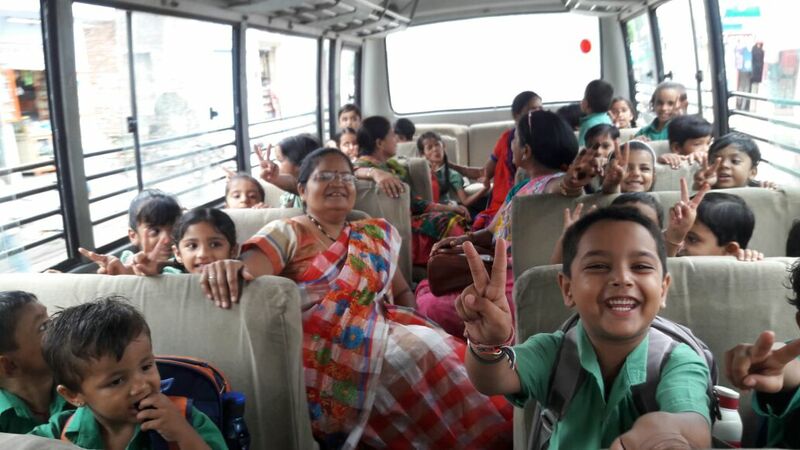 They boarded the bus at 11.30 AM and returned back at12.30 PM .They enjoyed a lot and that could be seen on their innocent faces. 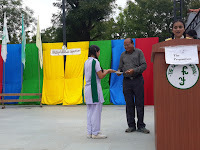 Saturday, 22nd July: Inter House Debate Competition was organized for students of the senior section. 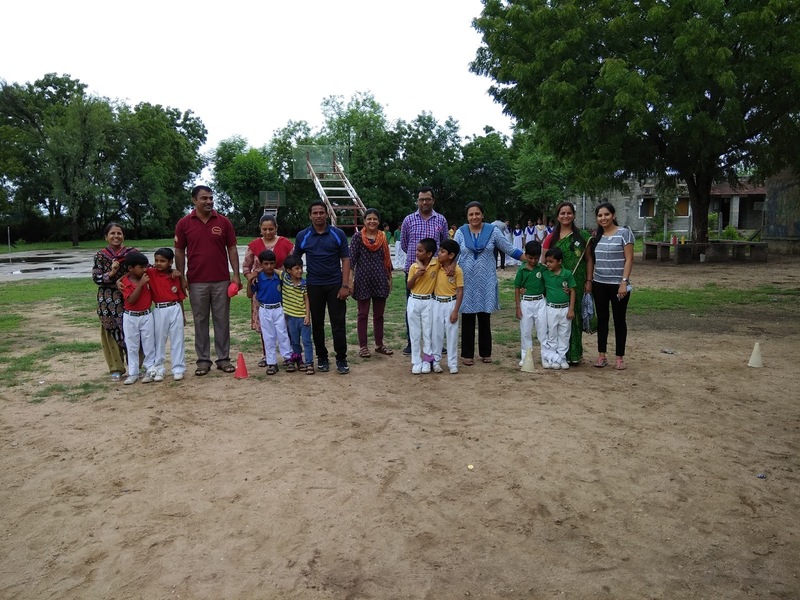 The members of the jury were Mr. Govardhan Sain/ Parent and Mrs Bharti Rao/ AD. The students confidently presented their views and gave a beautiful presentation. The topic of the motion was ‘Effects of GST’ and ‘Changing pattern of Examination’. Saturday, 22nd July: Inter House GK. 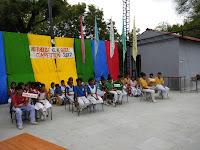 Quiz was organized for the students of Class II-V. There were eight participants from each House. There were three rounds and in each round ten questions were asked. All the rounds were buzzer rounds. The students gave outstanding performance. 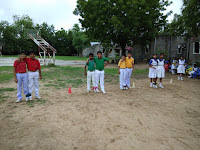 Saturday, 22nd July: Three-legged race was organized for the students of the Primary Section in the Main Campus. Students enjoyed a lot. They gave their best to make their house win. Friday, 21st July: Parliamentary Session was organized by Mrs. Kusum Sharma/ HOD S.St for Class VIII A & B. Students were divided into Lok Sabha and Rajya Sabha. They were given duties of MP and Cabinet Ministers. They discussed on Changes in RTE Act. The students not only enjoyed but were able to learn their lesson easily. Skype Story Telling Session was organized for students of Class IV. Ms. Chandrika Radhakrishnan was the resource person. She related the story of Grumpy Groom’s Hat. The students enjoyed the story telling.